Could you live without your hair straighteners? I know I couldn't! 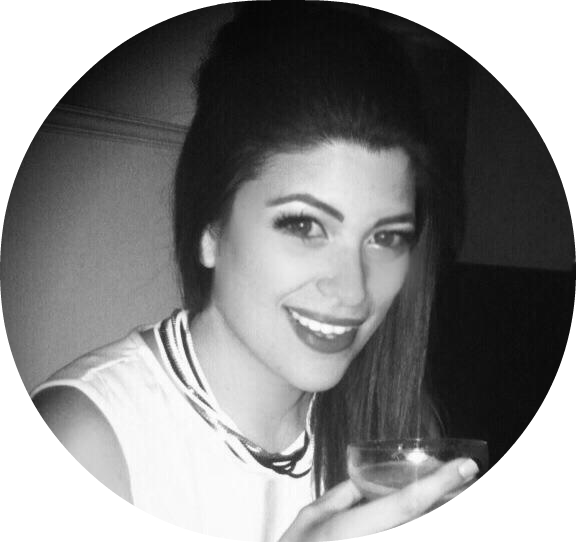 Whether it's classic poker straight, beach waves or curls I rely on mine to keep my locks styled and smoothed. I remember the bad old days when straighteners had metal plates and weren't all that great and I also remember vividly the first time I tried GHDs and what a revelation it was. I was hooked and I haven't really looked back since. I just don't feel right if I haven't used them. So the idea of a cordless mini pair that can be easily popped into a bag or used to cut down on luggage when you go away was something I really liked. But would they turn out to be any good? 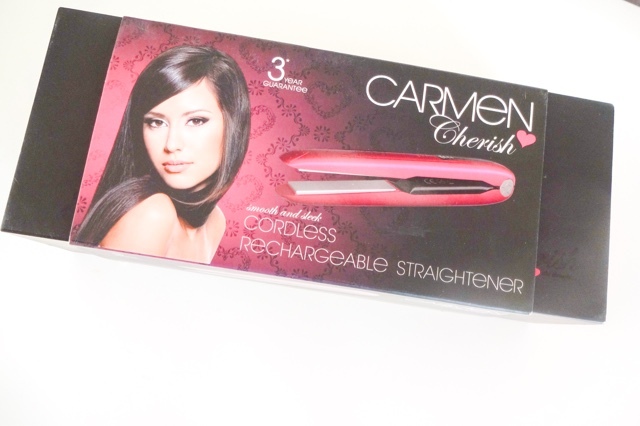 The Carmen Cherish Cordless Mini Hair Straighteners are sold as being the ultra-portable, handbag-sized answer to any hair dilemma. 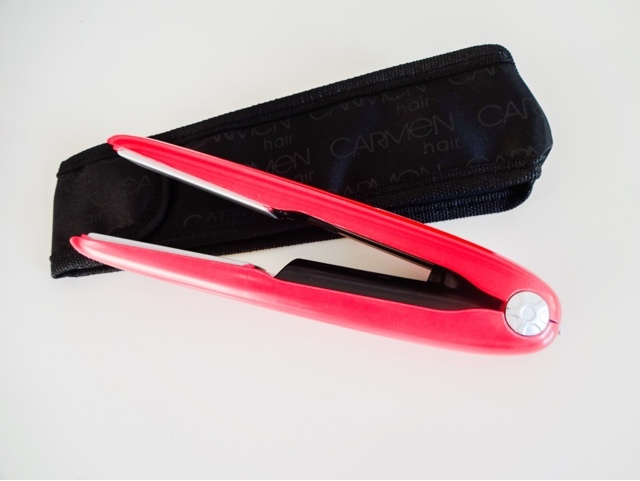 They are a multi-purpose styling tool that can curl, wave or straighten and banish frizz on the go. And if you have short or fine hair, or just need to style your fringe, the narrow plates are supposed to be capable to use as your daily styling tool. 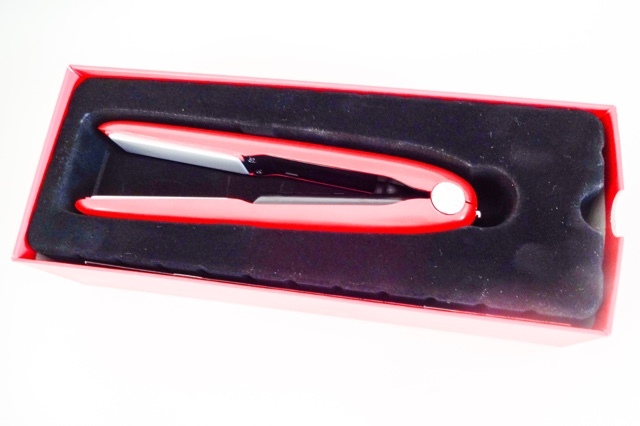 These straighteners are nothing if not cute, featuring a bright pink outer shell with silver coloured ceramic plates. 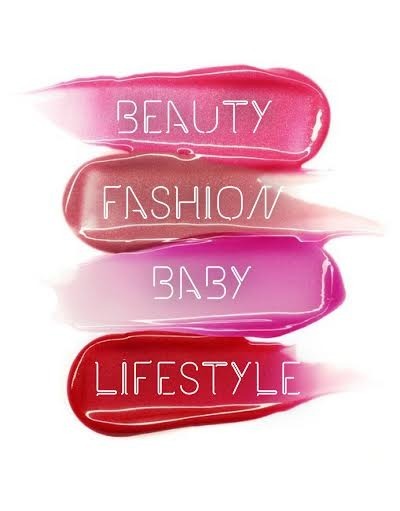 They come in a little black heat-resistant pouch, which I love because it means you can keep the straighteners and the other contents of your bag from damaging each other, and you can chuck them into the pouch without having to wait for them to cool down. Straighteners, travel pouch and a mains plug all come presented in a little pink and black box. I so wanted to love these straighteners. I wanted them to be the answer to touch ups on nights out and after cycling into the office. They are certainly portable - I was surprised by how light and how compact these are. They could fit into even quite a small clutch bag and they're ideal for taking on holiday. I recently travelled to Italy for a week with only hand luggage, and I was so grateful for the amount of space saved in my case from leaving my GHDs at home. They recharge easily from a plug mains, with an LED indicator that shows you when they're fully charged and how much is left. There is also a lock system that fixes the plates together which further reduces the space they take up and keeps the plates safe from damage in transit. 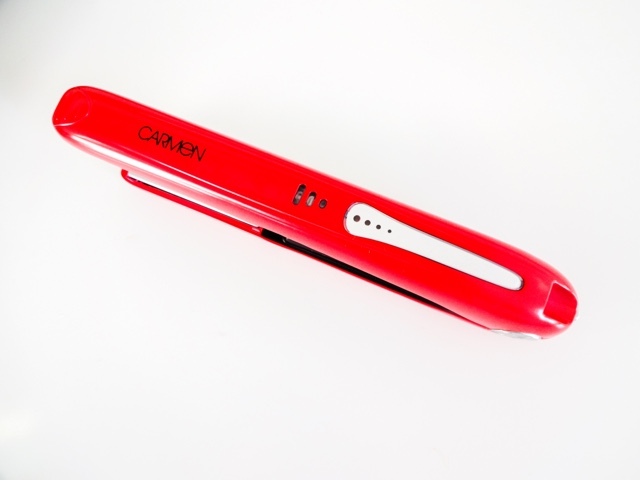 The Carmen Cordless Mini Straighteners look great, but they just don't function all that well unfortunately. Maybe if you just use them for touch ups, they'd be okay but I tried to use them for a week on holiday as my main straighteners and it just didn't work. They never seemed to get hot enough to give a decent performance although part of me thinks perhaps I didn't charge them enough or maybe I tried too thick a section of hair at once. They are supposed to have three heat settings of up to 180 degrees, which I feel like should be enough to do the job, but I must confess I was left a little underwhelmed. They yield 25 minutes use from a day long charge, which doesn't seem efficient at all. They also take a good five minutes to heat up, which I don't think were used to these days. However, Ive seen a lot of other reviews of these saying that they perform well, so I'm almost tempted to think I'm just doing something wrong. I want to love these so bad. The idea of having a mini, truly compact hair styling device that really works, that I can fit in my handbag is so appealing. But although these look great and are genuinely portable, I find the performance quite lacklustre. These are much more suited to light touching up, as trying to straighten a whole head of hair with them is painfully slow. It disappoints me that these are not a viable alternative for me to take on holiday, as I would love the extra room in my case they free up, but I wouldn't feel comfortable having these as my only option again. A bit of a case of style over substance, which would be fine except for the fact these are not especially cheap, so you're paying around £60 for something that isn't all that great. Perhaps one to try if you have fine hair or just want a touch up option, but for those with thick hair these will be pretty much useless.